Today’s office environment places a great deal of emphasis on communication. 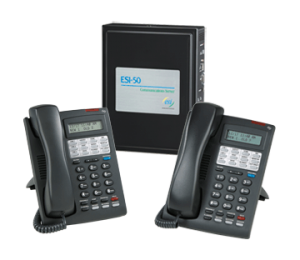 One of the primary features of any office, large or small, is an efficient and reliable telephone system. State Systems, Inc. offers clients throughout Olive Branch and the Mid-South the option of full-service commercial telephone system design and installation, as well as reliable maintenance and servicing. To request a quote for a commercial telephone system installation for your company located in Olive Branch, Mississippi, contact us today online or call 866-308-5701. We are an authorized dealer for ESI and Allworx systems. In addition, we have decades of experience servicing a vast array of other telephone systems for businesses located in Olive Branch. From systems with one to 6,000 phones, no project is too small or large for our design and installation technicians. Whether you are moving your offices to a new location in Olive Branch, want to upgrade your current system, or simply want to expand what you currently are using, State Systems, Inc. can accommodate your needs. If your company can benefit from a commercial telephone system, do not hesitate to contact State Systems, Inc. Our technicians can design, install, and maintain the best telephone system solution for your business or organization located throughout Olive Branch, Mississippi. Call us now at 866-308-5701 to request a quote!